The main purpose of the pressor is to optimize the winding of bending copper. 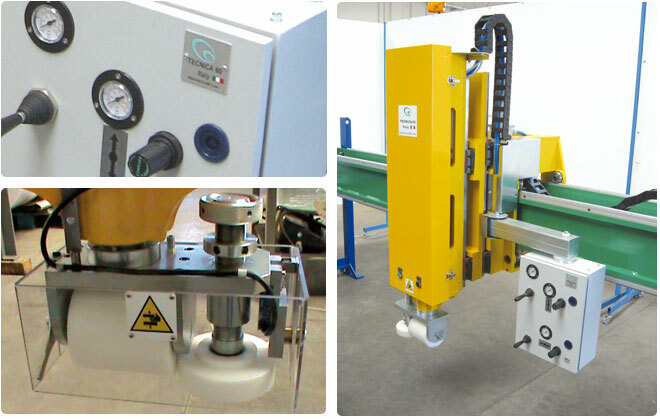 It deals with a system of two rollers, one for horizontal compression and one for vertical compression, controlled by a pneumatic pressure in vertical and a pneumatic brake in horizontal. This aim warrants obtaining a perfect alignment of bending copper in complete safety for the operator and it permits to economize man-hours.